Truffles have always held the top spot on my list of favorite foods, right up there next to honey. So when I found this restaurant that serves all things truffles up to its desserts, I was naturally overjoyed. I used to frequent this restaurant when it was still housed in Roppongi Hills. They closed for a year before recently (finally) opening their cosy doors to the public in a quiet back street of Aoyama. The interior is less formal in their new location, looking more like a cosy french bistro. They have a set and ala carte menu with wine pairing options. The set menu costs about 15.000 yen. My husband and I tried the set menu and before I go and post pictures of our meal, here is a picture of my favorite food up close. Starting off simple with a slice of bread covered with cheese and slices of truffle accompanied by a small cup of hot chicken soup. This is always my favorite starter. Followed by some sliced fish covered with truffles. This dish is deliciously fresh. Another one of my favorite dish came after. 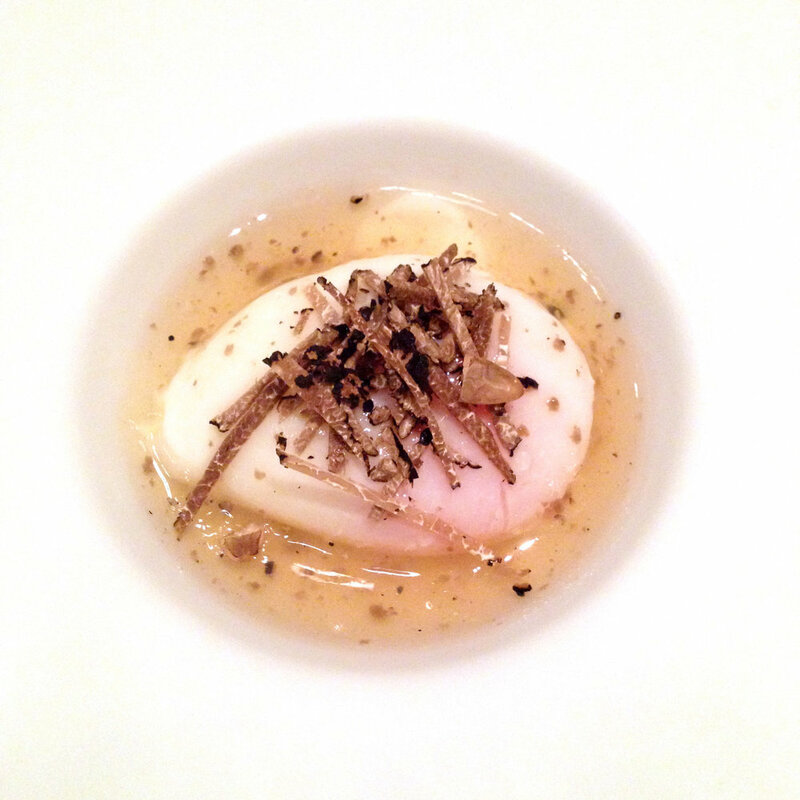 A perfectly soft half poached egg in a light chicken broth with truffle slices. Next is a signature dish of Terres de truffe. Baked potato in a cream sauce with generous shavings of white truffle on top. And a wonderful seared scallop with zucchini and a slice of truffle came soon after. Followed by the main dish. Wagyu beef with foie gras and black truffles. This dish was accompanied by some lovely truffled rice. For dessert, we decided to try two different options. A vanilla ice cream with truffled caramel sauce and truffled cheese pannacota. Both were delicious. It was an absolutely wonderful feast and it being truffle season right now, it would be the perfect time to go.